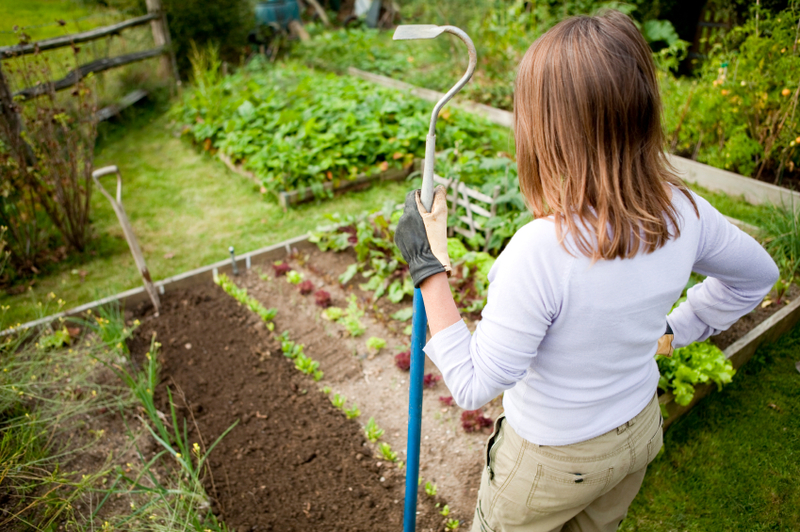 Gardening woman standing in vegetable garden holding hoe. Shallow depth of field with focus on gloved hand holding hoe. My adult son and I like to exchange audio books with each other. Each of us spends a lot of time driving and these are good ways to redeem that time. Lately I have been listening to one he shared about George Washington. My son knows more about Washington than most people, having made him the subject of much study. I can honestly say that I learned more about our first president from this son whom I homeschooled, than I knew while I was teaching him. I did not give my son a love of history. God gets the credit for giving him a good mind and the motivation to pursue his interest. My son gets the credit for using the gifts he was given. What I can take credit for is creating an environment for learning and encouraging him, and my other children, to read more than just one book on any given subject. I also emphasized the importance of consulting primary source material in addition to biographies and historical accounts written much later than actual events. I also made it clear that, as a result, they would be in a better position to come to their own conclusions rather than just parrot mine. In truth, when they pursued their interests, they often surpassed my knowledge in various areas. My fifteen-year-old daughter and I were at the movies watching a film that dramatized a WWII spy mission to capture a German enigma-decoding machine. Much of what was happening went over my head and I muttered, “I don’t understand!” She quickly explained what had confused me. How did she know all about submarines when as her teacher I had not made this a focus of study? Later, she explained that on trips to the library she had read a number of books on the subject and that she and her dad had watched a documentary about submarines. Many home educators consider teaching a daunting task because they do not have time to learn or master all the subjects their children should know. The truth is that they don’t have to. By creating a context for learning, establishing a solid foundation in reading, and providing access to information, the whole world is open to students. Especially today with the internet as a research tool, the focus of the home educator should be to instill a Biblical worldview as the way to interpret all that is learned. Building or having access to a library of reliable, challenging material will open the world to your students. The treasured wealth of ages. A drought of gold and silver. Of wealth and hammered power. Are potentates whose laws are heard. The home educating parent is a cultivator of learning, working the soil so that students acquire the necessary framework with which to take dominion in Jesus’s name. The payoff is that you will have plenty to learn from them! Listen to this poem being recited by the author’s son.